Have you gotten your Technique Junkie CD8 yet? It's hard to believe that CD8 is already being released. Back in 2003 I stumbled upon The Technique Junkie Newsletter during a google search, and I'm so glad I did! The techniques have really helped me evolve as a stamper, not to mention the wonderful friendships I've made! 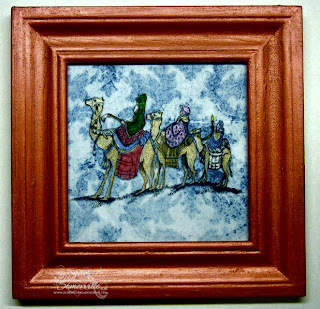 The beautiful image is from Our Daily Bread Designs We Three Kings set. You can't really tell from the photo, but the wood and image booth have wonderful shimmer IRL. Thanks for the peek! What a beautiful framed project! This is just GORGEOUS! Awesome framed piece! Love it! BEAUTIFUL work - love that background and your framed art! TFS! What beautiful coloring!! I love how you framed it!! Thanks for joining the ODBD Shining the Light sparkle challenge this week! 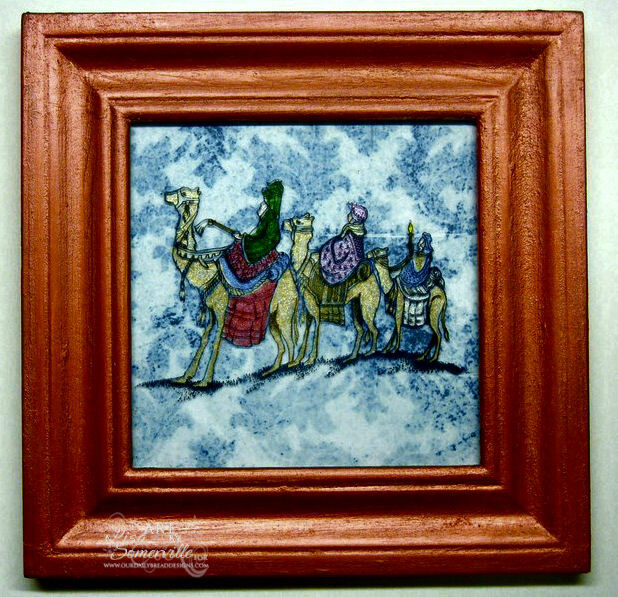 Gorgeous framed art. The image is beautifully done. Can't wait for the new CD. Lisa I can see the shimmer on my screen...whoa a lovely piece of framed art.